If you never happened to degust Vegetarian cuisine, take your chance at this cafe. 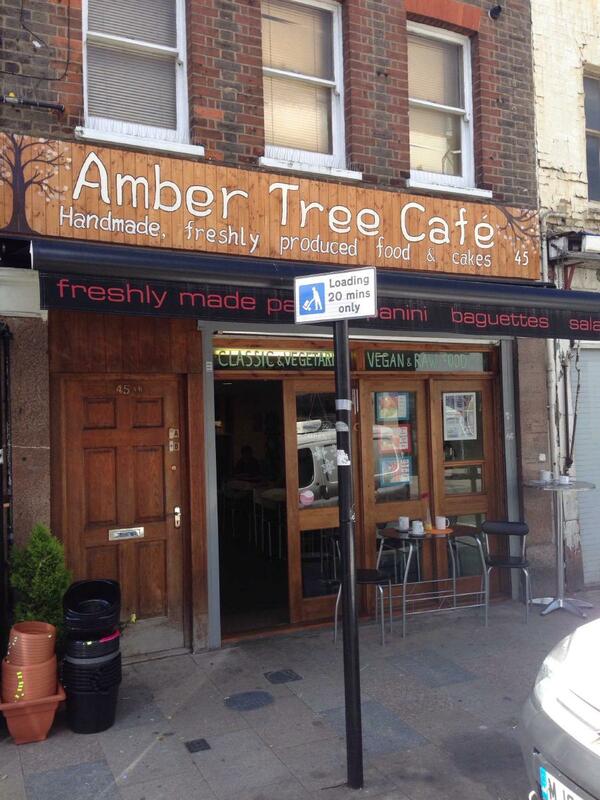 Cooks at Amber Tree Cafe do their best to provide visitors with tasty pancakes. Among the drinks, there is great english coffee. The courteous staff meets you at this place all year round. The fabulous service is something these restaurateurs care about. Clients of this spot note that they found prices good. As people find it, the atmosphere is quiet here. This cafe scored 4.5 in the Google rating system. I thought it was time to write about somewhere good. This place rocks, everything is fabulous, from the cakes, to the breakfast menu, lunch, snacks, free water and the service rocks, conscientious, friendly, quick and obliging. The only thing I am not so keen on is all the local rozzers who love to come here too! Really rude staff, very abrupt when ordering to the point we decided to leave... Shame thought this place had potential - I'd avoid.Suprised by others saying friendly staff etc... - maybe we caught them on a bad day - still think they need to know as have never experienced such rudeness and bad customer service to the point where we had to leave and now will never return.